The Eco Edition of Pattersons Cleaning And Catering Magazine Is Out Now! Download For Free Or Order Your Free Copy Today! 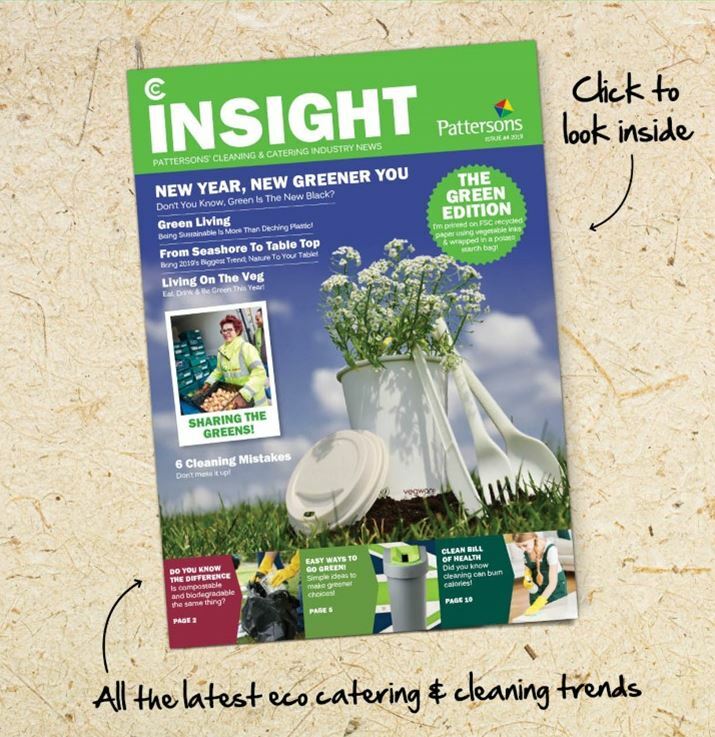 Yay, we see you’ve finally stumbled upon the eco-friendly green edition of our C&C Insight Magazine! 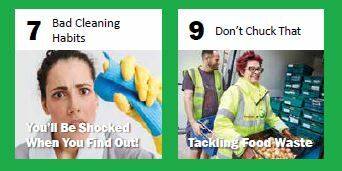 For the first edition of 2019 we’re thinking ‘New Year, New Eco You’ for all the eco-friendly trends, gossip, tips, tricks and news in the cleaning and catering industry. With eco-friendly being the world on everyone’s lips last year, what better time to launch a fully eco edition of the magazine!? There are some super simple ideas to go eco that go beyond just switching products and we’ve even included some exclusive behind-the-scenes looks at what the best sustainable companies are doing, that you can do too! 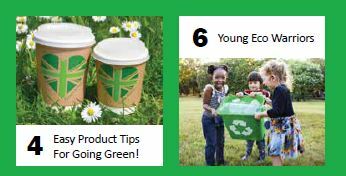 So sit down with a coffee (in a reusable or compostable cup of course) and have a flick through our green edition to find some eco ideas you’re sure to love! Now this Christmas mayhem is over for another year, it’s time to wind down and enjoy the New Year! If you’re thinking about a New Year, new GREENER you, look no further! You probably know Pattersons’ by now but if you don’t, let us introduce ourselves. For several years now, we’ve been interested in making eco-friendly choices as show by our ISO 14001 accreditation, our pledge to be Carbon Neutral and our charity work. However, like most businesses, the news that our world needs to act fast to tackle global warming saddened us and encouraged us to take more new steps to be even more eco and that’s when we realised, as a supplier, we can help businesses make eco choices too! We’ve always aimed to source as many British manufactured products as we possibly can, which is something we’re still proud of today, and in a bid to help others make green choices, we’v expanded our eco ranges and are now proud to offer the full eco-friendly solution that doesn’t compromise on quality or price. We have a lot in store for 2019 from launching an eco-cleaning catalogue jam packed full of our new green ranges, to continuing to support our local community with charity events and young employment schemes. Last year, our proudest achievements were raising a fantastic £16,000 for St Peter’s Hospice and donating £7000 worth of old stock to Giving World Online, amongst improving our recycling and reducing plastic. This year, we’d love to match or even beat those achievements if we can! 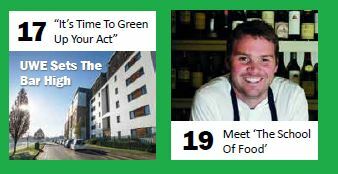 Dates for your diary and the green edition run down including “Your Green Questions Answered” and Pattersons’ green promise! Easy ways to go green with tips and tricks for eco product switches. Including eco compostsable catering disposables, recycling bins made from post UK consumer consumed plastc, eco-cleaing chemicals made from plant based materials, an eco centrefeed roll and how to donate and reduce your companies waste! Young children are driving an eco-friendly change and with that more and more schools are making sustainable choices, switching to plant-based cleaning chemicals and choosing plastic-free suppliers. The 6 most common cleaning mistakes most people make! How working with FareShare South Wewst to reduce your food waste could be great for your Corporate Social Responsibility and small, yet effective Food Waste projects can make a world of difference! How St Monica Trust are reshaping retirement home, care home and assisted living industry by leading the way with sustainable thinking! Choose a green cleaning product that’s right for you from plant based chemicals, to plastic free or reusable packaging or reduced C02 emissions! 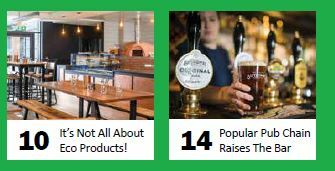 How the popular pub chain Butcombe are raising the bar in terms of sustainability and how other pubs, restaurants and bar’s can learn from Butcombe! Eco places to drink & dine. 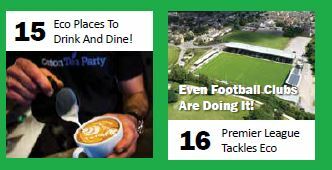 The football league tackle’s eco issues in ways that we can learn from too! Read about how University students are leading the way in sustainability change and how one of the UK’s top sustainable Universities, UWE are tackling eco issues! The eco crockery, inspired by the coast in what’s set to be 2019’s biggest catering trend; nature! Bristol food legends Josh Eggleton and Adrian Kirkmaa pair up with Weston College, St Katherine’s School and Ashton Gate Stadium to launch their new vocational cooking school, School Of Food. The social media trends that are happening right now and Pattersons’ Cleaner Of The Year is announced!